Best known for his series The Secrets of the Immortal Nicholas Flamel, his novels are published in thirty-seven countries and twenty-four languages. ​ best Young Adult Books of all time. 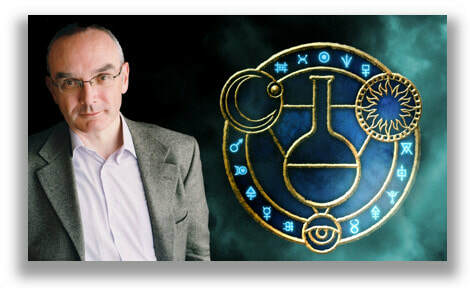 Michael Scott is one of Ireland ‘s most successful and prolific authors, with over one hundred titles to his credit, spanning a variety of genres, including Fantasy, Science Fiction and Folklore. He writes for both adults and young adults and is published in thirty-seven countries, in twenty-four languages. He is considered one of the authorities on the folklore of the Celtic lands and is credited with the resurgence of interest in the subject in the mid-1980’s. His collections, Irish Folk & Fairy Tales, Irish Myths & Legends and Irish Ghosts & Hauntings have remained continuously in print for the past twenty years and are now included amongst the definitive and most-quoted works on the subject. Time Magazine recognized The Alchemyst as one of the best Young Adult Books of all time. As part of the BBC and Puffin Books’ celebration of The Doctor’s 50th anniversary I am the second author to be given the opportunity to bring The Time Lord back to life. Eleven Doctors, eleven months, eleven stories: a year-long celebration of Doctor Who! The most exciting names in children’s fiction each create their own unique adventure about the time-travelling Time Lord. Michael Scott’s Dublin madam assists the police in their investigation of a celebrated real-life theft. Leslie S. Klinger is considered to be one of the world’s foremost authorities on Sherlock Holmes and Dracula. Klinger is a member of the Baker Street Irregulars, and served as the Series Editor for the Manuscript Series of The Baker Street Irregulars. In a stunning follow-up to the acclaimed In the Company of Sherlock Holmes, Laurie R. King and Leslie S. Klinger present a brand-new anthology of stories inspired by the Arthur Conan Doyle canon. All of these talented authors, however, share a great admiration for Arthur Conan Doyle and his greatest creations, The results are breathtaking, for fans of Holmes and Watson as well as readers new to Doyle's writing--indeed, for all readers who love exceptional storytelling.